Starting on November 2, 2016 and throughout the 2016-17 winter season, Air France will offer two new weekly services to San José (Costa Rica) on departure from Paris-Charles de Gaulle. The flights will be operated by Boeing 777-300 with a capacity of 468 seats – 14 in Business, 32 in Premium Economy and 422 in Economy. “By offering two new direct flights between Paris and San José, we are connecting all of Europe to an exceptional tourist destination. With this new offer, we also aim to support the vibrant economy of Costa Rica, the leading market in Central America. Our long-haul network offer is thus improving in a region of the world where we are already a European leader”, stated Frédéric Gagey, Chairman and CEO of Air France. 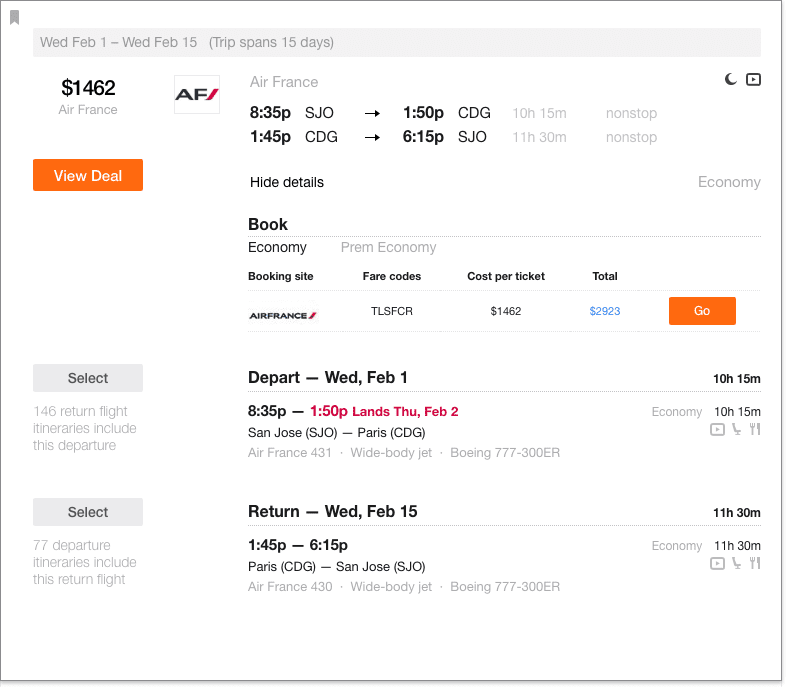 The new flights aren’t cheap (I’ve found round trip flights to Europe for less than $500), but getting to Europe in one shot on a flight less than 12 hours sounds nice! Flights operated on Wednesday and Saturday on departure from Paris.